In the oil and gas industry, the safety of project personnel should be among the most important priorities for any project manager. In addition to the obvious human costs of a death or serious injury on the worksite, unsafe work conditions can also lead to project delays and increased costs. Fortunately, there is a way for project managers to control risk, and that is using a 3D model to gain a better visual representation of a site before sending workers into the site. Whether you’re building a new facility or retrofitting an older one, each oil and gas project has its own unique set of safety concerns. These could include ensuring structural integrity, identifying potentially hazardous work areas, or limiting the amount of work that has to be done in confined spaces. 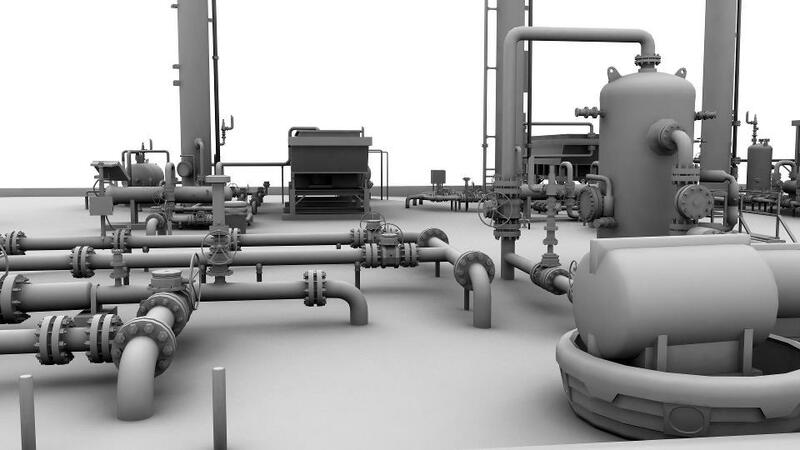 A 3D model can help a project manager address all of these concerns and more by essentially allowing them to know where the risk is without actually having to enter the facility to find it. As a result, a project manager could use a 3D model to create the safest work plan possible for his or her team. Read on to learn more about how a 3D model can support better safety measures for oil and gas facilities. The first way a 3D model can help keep workers safe is among the most obvious: by shortening the amount of time that workers actually have to spend in a facility, a 3D model can reduce the amount of time those workers spend exposed to risk. With the greater visibility that a 3D model can provide, a project manager can come up with a plan that allows workers to get in, finish the required work as quickly as possible, and then get back out again. Performing “hot work” such as welding inside an oil and gas facility can be especially dangerous for workers. Of course, it is possible to perform the majority of this work offsite, but this capability depends on having the kind of exact measurements that only a 3D model can provide. Once they have these measurements, workers can perform offsite fabrication methods, essentially removing the need for hot work inside the facility. Then, they can simply perform a bolt-up installation once they’re inside the site, resulting in a dramatically safer experience. Having accurate as-built surveys is among the most important methods of identifying and avoiding hazardous conditions inside an oil and gas facility. Using a 3D model to support your as-built survey is a great way to cut out uncertainty and get the kind of fast, accurate as-built survey that’s required to make informed decisions about the best way to complete your project. Any experienced project manager could tell you that the greatest sources of danger within a facility may not always be the most obvious ones. Safety problems on a site tend to emerge slowly over time, which means that waiting until the unsafe conditions become impossible to ignore is not a practical approach. 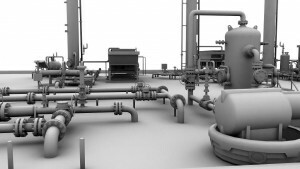 A 3D model can be used to identify problems that workers and project managers most likely would have missed otherwise. With this knowledge, it is possible for project leaders to be proactive and address these issues before they result in safety problems for the project. To learn more about 3D modeling and how it can help keep workers safe in your oil and gas facility, contact us at Landpoint today.